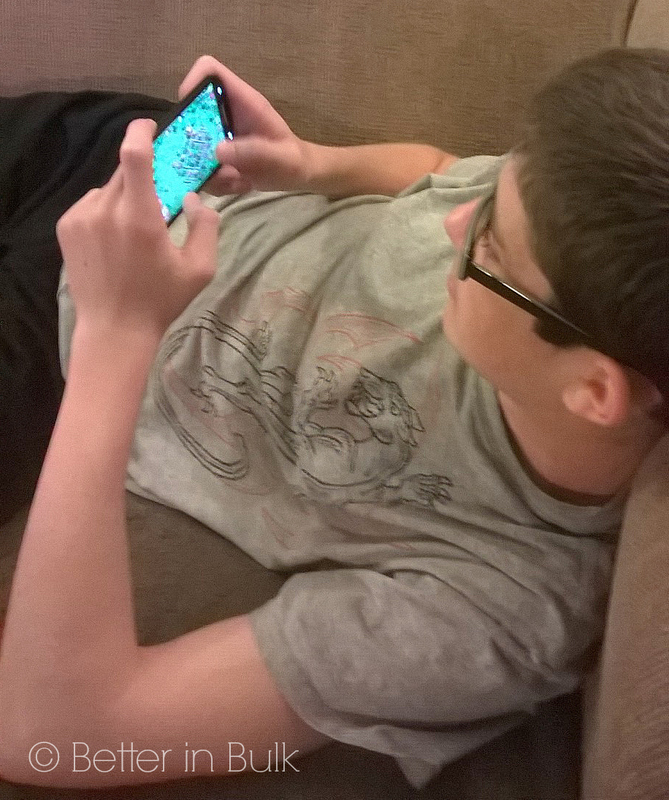 I waited for a long time before letting my kids have a cell phone. My oldest daughter will not hesitate to tell about her deprived middle school years (which extended through a good portion of her high school years) before she got a cell phone of her own. 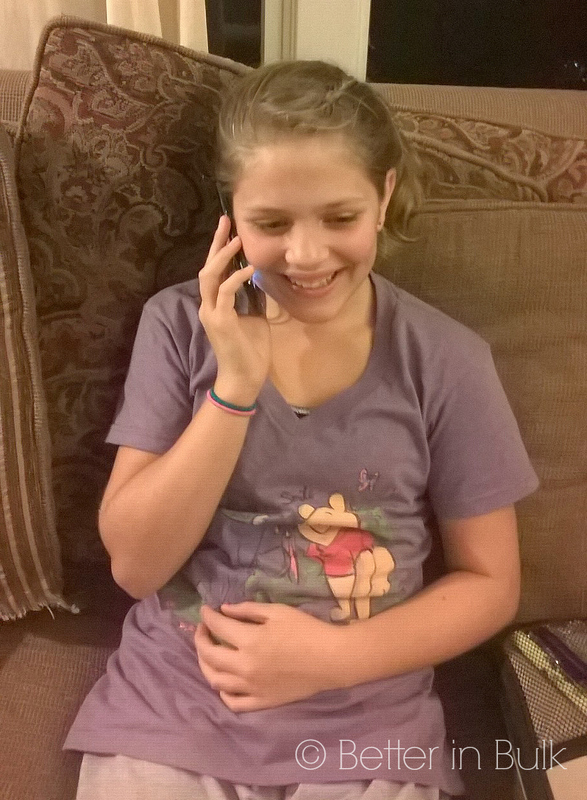 My second daughter didn’t get a phone until she was about to spend several weeks of the summer (this past summer!) away from the family. See, I’ve always viewed cell phones for kids as privileges. Extras. And in a family as large as ours, the extra cost of a cell phone was certainly one of my hesitations, though not the only thing that held me back from getting my kids their own phones. I heard the pleas from my kids for years. In this age, everyone seems to have their own phone. 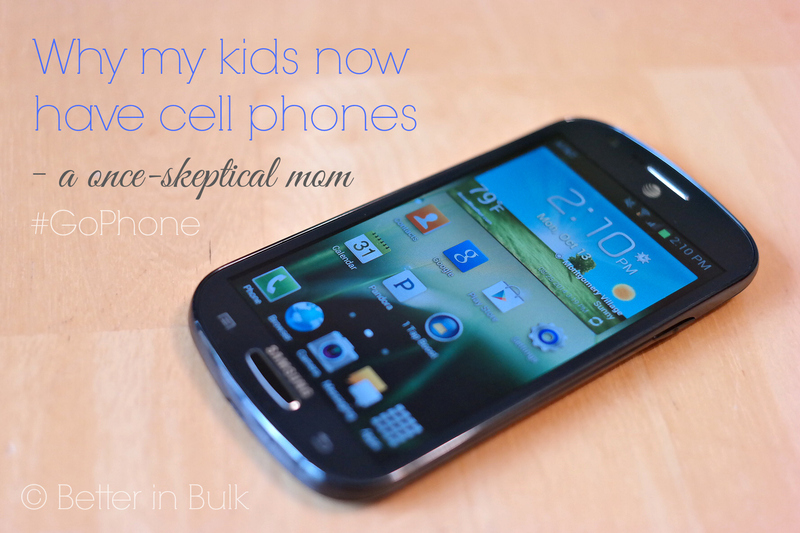 As a digitally-connected mom who needs a cel phone for work, I am often shocked to see little kids with phones nicer than the one I’ve got. 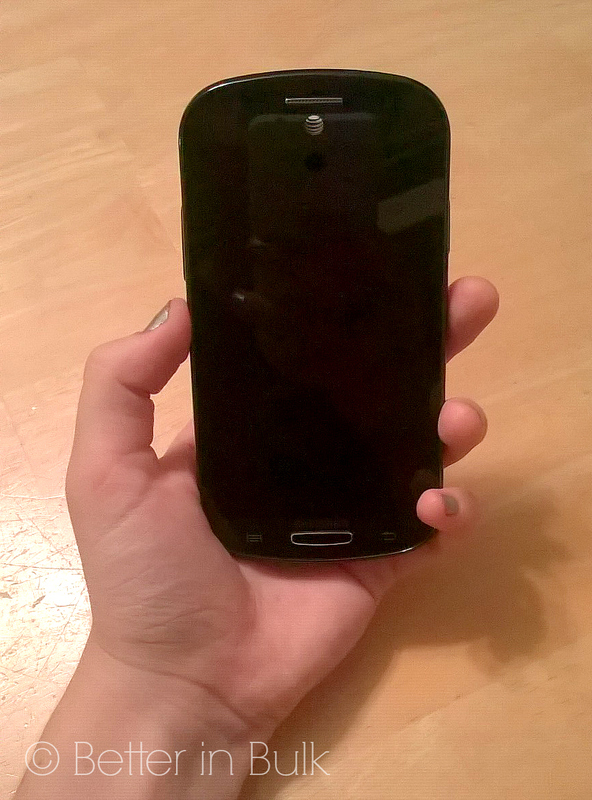 I was not about to give in to my kids’ pleas for a phone just because everyone else had one. At the beginning of the school year, my 2 middle school kids (ages 11 and 13) got a AT&T Samsung Galaxy Express #GoPhone to share. We’ve nicknamed it the “House Cell” because it “belongs” to the house, but the kids take it back and forth to school on days that they have activities. I couldn’t be happier with our new GoPhone. They have after-school practices and activities almost every day of the week. I needed a way to get ahold of them or for them to easily call or text me after school. We don’t have a home phone, so I feel safer if there is always a phone at home for the younger kids to use. I didn’t have to commit to a 2-year addition to my cell phone plan. The AT&T GoPhone was a great solution for us. We can chose the plan that’s right for us without the commitment or any termination fees if the kids lose their phone privileges. Taking care of a phone and monitoring cell phone use is a great way to teach kids’ responsibility (and sometimes, consequences). My peace of mind. Yes, I feel more at-ease knowing that my kids can contact me whenever they need to. When I was out of town for 2 separate trips recently, my 11-year-old sent me dozens of texts. While it may have been a little more than was needed, I knew it was her way of keeping close to me. Cell phones are great incentives. I use ours to my advantage. I still consider cell phones to be a privilege! To determine if	a device is compatible with AT&T GoPhone, visit: http://www.att.com/devicehowto/. We have the Samsung Galaxy Express, which is a very affordable, user-friendly phone. We love it. AT&T GoPhone monthly rate plans offer great value for smartphone and basic/quick messaging phone customers. GoPhone is the right choice for customers who don’t want to sign a wireless phone contract. GoPhone can provide you with a sense of comfort as it creates parameters around your family’s wireless plans, while also instilling a new sense of responsibility for a new phone owner. With a smartphone, GoPhone users receive unlimited talk and text and 2.5GB of data, so it’s easy to stay in touch with everyone. The auto-refill feature makes it easy to pay with a credit/debit card or bank account. Refill cards are	also available at thousands of retail locations nationwide. Do your kids have a cell phone? At what age do you think it’s appropriate for kids to have their own phone? I think this is a great pick for kids who are getting there first phone, we both have agreed as parents when it comes to the right ago our kids will get a phone, makes it easier for families to use to stay connected. I to have a daughter who is driving me crazy with her pleas for a cell phone. This post has made me think again on just saying no for years to come. I think i might have to look into the whole cell phone thing. Thanks for the post. I think this is one is a hot topic a lot of concerned parents struggle with, you don’t want them to have it too early, but understand how everyone in their school has one pretty much. I love this post! We don’t have a house line either, so I want something to be able to leave with the baby-sitter in case. Thanks for sharing!